The winning Woodfield Grove team in 2013 with supporters. 2014 saw Woodfield Grove defending the title for the first time. The club was thrilled to win the competition in 2013, particularly as it was the leading founder and instigator of the Millennium Cup in 2000-01. The previous year WGTC defeated Wigmore to win the coveted trophy but struggled having gained only two points in each outing so far against Telford Park and Grafton, both away from home. Only small four-court club, WGTC had its work cut out for it against the larger clubs of Streatham but remained game for the challenge, finally giving eventual finalists Norbury Park a run for their money. Grafton led the table after playing three ties, but were pipped at the post by Telford Park and Norbury Park in second spot, who were one point short of league winners, Wigmore. Wigmore won the league portion of the Millennium Cup with 21 points won, while Norbury and Telford tied with 20 points each, so it could not have been any closer! Grafton finished with 18 and WGTC on 11. To confirm which club would play Wigmore, the committee needed to count up the sets won and Norbury Park edged out Telford Park with 48 sets won (v G13+TP12+W12+WG11) against 45 (v G13+NP10+W8+WG14). 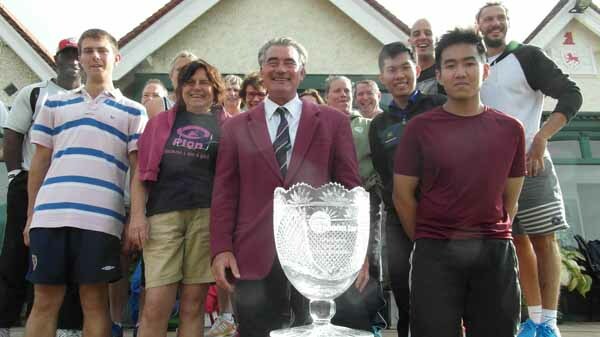 The Millennium Cup Finalists 2014, Wigmore and Norbury Park, with the trophy – the victors were Wigmore. 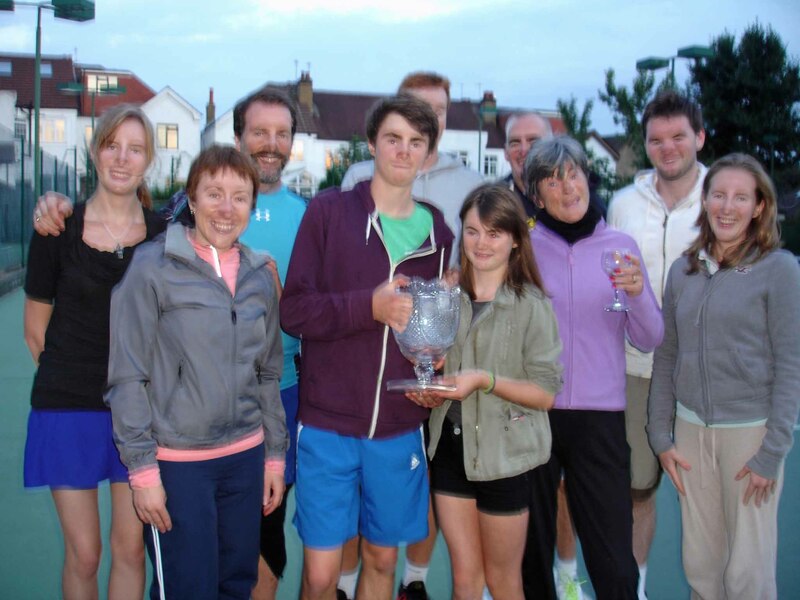 Since Norbury hosted Wigmore in the league, the final was played at Wigmore LTC on Sunday 14 September and the full match report can be read HERE. Congratulations to Wigmore for winning the competition by a convincing margin of 7-2 over Norbury Park! On this page you can find the final Points Standings and the dates for each tie in the league competition. Reserve weekends in the event of inclement weather were 19/20 July and 2/3 August. The two top finishers in the League played the final scheduled for the weekend of 13/14 September.